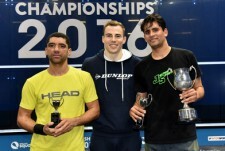 Jamie Mathews claimed his ninth National Deaf Squash Championships title in Manchester at the weekend. 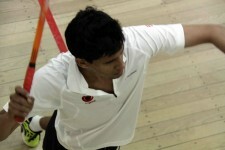 Mathews defeated Philip Thomas in four games in a closely contested final. Mathews was presented with his Rebecca Macree Trophy by eight time National champion, Nick Matthew. 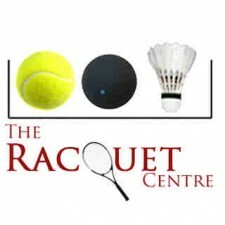 The event, which began in 1998, is named in honour of former World no.7, Rebecca Macree and is held annually in Manchester at the National Squash Championships. Macree, who was born deaf, and was part of the 2000 Women’s World Team Squash Champions as well as being a Nationals finalist in 2003. Brian Rawlinson, the tournament organiser, commented: “It was a hugely successful event this year. We had a ten person draw and there were many hard matches. The newest entry to our group, Noah Duckworth (Notts), shares the same coach as Nick Matthew (Neil Guirey) and won the plate competition. It was fantastic for Jamie to have Nick Matthew present him with his trophy. The plate presentation was made by three-time National Champion, Lee Beachill too which was a great honour. The National Deaf Squash Championships is organised by the English Deaf Squash Association (EDSA). The EDSA is open to new members and new players of all standards. If you would like to get involved and find out more about the organisation, please visit www.edsa.uk.com or get in touch with them on Facebook.